To be recognized as a DVD on the Zappiti players, the DVD structures must be complete. Thus, in the folder with the name of the film, you must have a folder "VIDEO_TS" and an empty folder "AUDIO_TS". 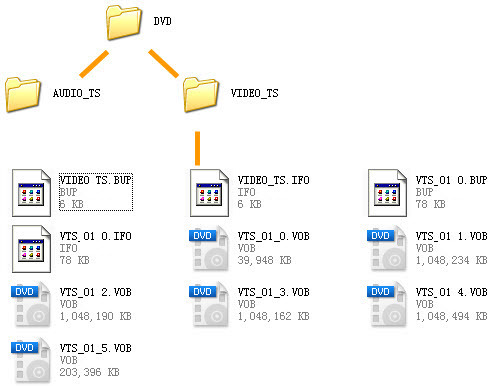 And all DVD files (.vob, .bup, .ifo ...) must be placed in the "VIDEO_TS" folder. If you place the .vob, .bup and .ifo files directly into the movie folder without putting a "VIDEO_TS" folder, the Zappiti player will not be able to read the DVD structure and menus. If you rip DVDs directly to ISO format, you do not have to worry about them.